Dusk is the time of day when the sunset is most brilliant. It is the time many animals and some birds come out to hunt and feed. Modern digital cameras offer us choices in exposure and flash to make the most of these opportunities. 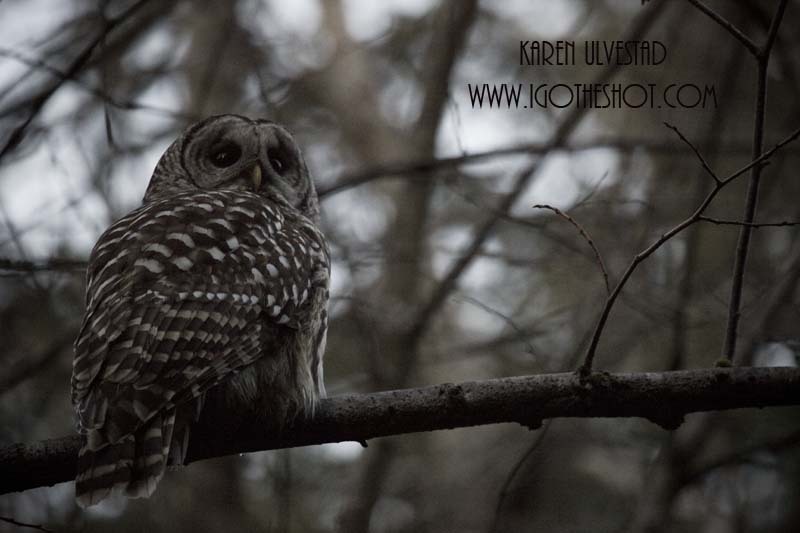 This photograph of a barred owl was taken around sunset under the tree canopy. There was little light to work with, so the exposure for this image is ISO 2500, Shutter 1/80 and Aperture F5.6. I was using my 100-400mm lens at 400mm. This shot is not cropped, and is a full-frame sensor camera. The original file is shot in RAW. I could have used a fill-flash in this situation, which would have allowed me to shoot with a lower ISO. It would have added light into the scene, and lit the owl. When I mention fill-flash, I am talking about adding a little light. Adding too much light in this situation would startle the owl, create shadows, and possibly over-expose parts of the scene. On this photo, I did adjust the color and luminescent to reflect less noise, and desaturate the color to fit the time of day. When photographing the sunset at dusk, the exposure is different. Usually, there is open space before the sunset, and it has more light. This photo of the mountains at dusk shows the dynamic colors in the sky, which is reflected into the water. The hills and mountains become shades of blue-grey in the photo. 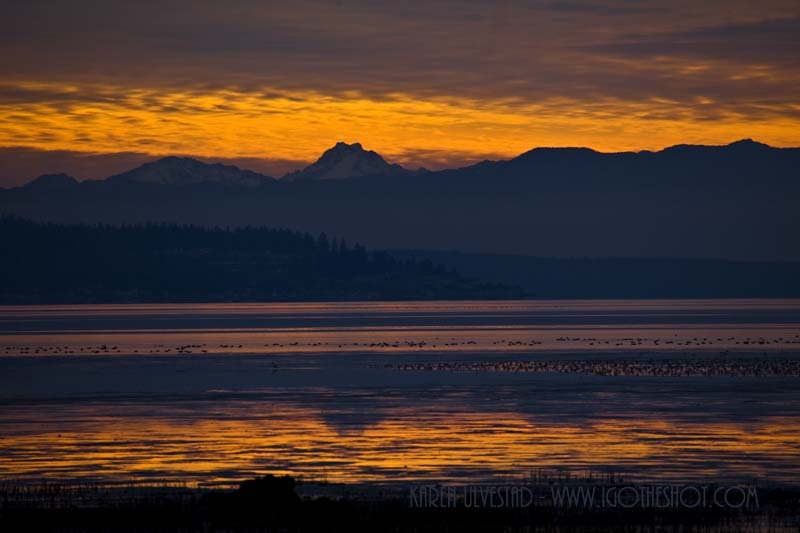 The birds feeding in the water and on the mud flats become silhouettes against the reflected colors. The exposure on this image was ISO 100, Shutter 1/60 and Aperture F8. I was using my 100-400mm lens again at 400mm. On this photo, I adjusted color and contrast. Your tutorial was very helpful, you have inspired me.